Firefly Cottages, are built in a similar style to the main house (Lambsdown) but simpler and in a far more dramatic location, these two cottages offer excellent value for unique accommodation. 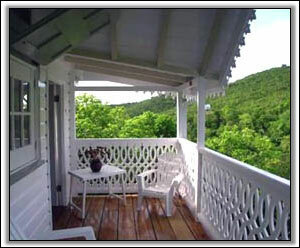 Two eco cabins in quiet seclusion on platforms at treetop height, identical except for the bed configuration and the view. 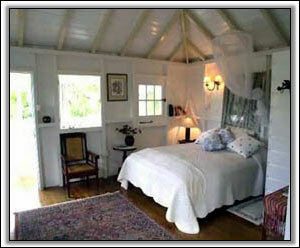 Clad in cedar shingles, with polished pine floors throughout and white woodwork - all the hallmarks of the old Caribbean. One has a queen size bed, the other two twins. 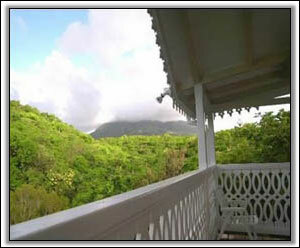 One cottage has a Mountain view and the other a Ocean view, but both have uninterrupted views of the forest canopy. Each cottage is completely self-sufficient with ensuite bathroom, kitchenette, and air-conditioning, and of course a balcony with breathtaking views. There is no TV, no telephone nor music center- in fact nothing to distract you from the environment which is captivating. A cellular phone may be rented. 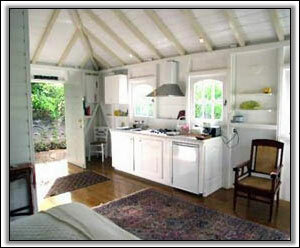 The two Firefly Cottages share a pool, located at the edge of the ravine, with a BBQ area close by. Kitchen appliances - gas hob (gas stove), coffee-machine, blender, toaster, fridge, microwave, extractor (ventilation) hood. 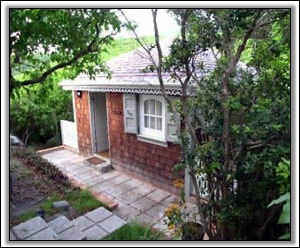 Twice weekly maid service is included in the rental price. 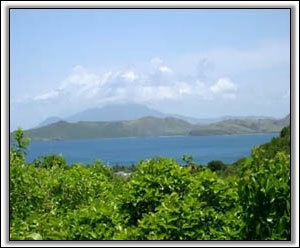 By car - Airport 6 minutes, beach 2 minutes, Four Seasons Resort 15 minutes, Town 18 minutes. A taxi will be arranged to meet you at your arrival point and the agent will meet you personally at the house. We advise that rental cars be left at the house for your arrival, and not at the airport.